Sunday was a big day for me and Johnnie. 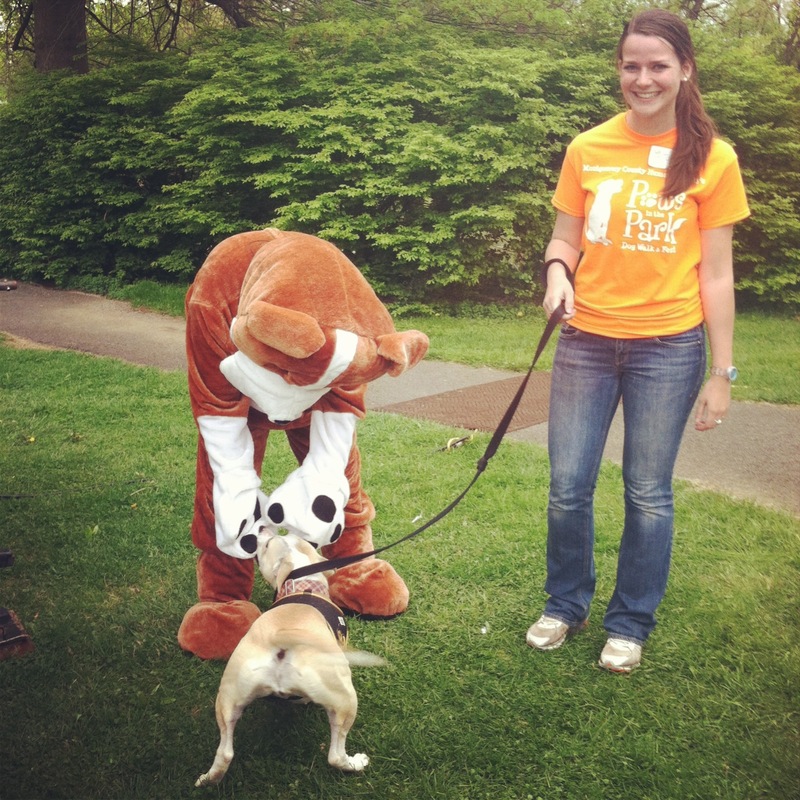 Like I believe I mentioned last week, it was the day of my humane society’s dog walk, Paws in the Park. Paws is our biggest fundraiser of the year and a ton of planning goes into it, so I was absolutely thrilled when the event was a huge success (despite some serious rain the second half!). You might remember last year when Otie came to visit me at Paws in the Park, and this year my mama was generous enough to bring Johnnie (foster dad was supposed to come too but he was sick, poor guy). I’d been wrestling a lot with the decision of whether or not to have her bring J to this event because there usually hundreds of dogs in attendance. Hundreds, literally. A few weeks ago I was very “noooo way!” to the thought of bringing her, but as Mark and I talked it out, I started to change my mind. I wanted to give her the chance to have positive new experiences. But Johnnie Cash can be sort of hot and cold with other dogs – which isn’t unusual for a dog, I just didn’t want to set her up to fail by throwing her into an event with a TON of other dogs. 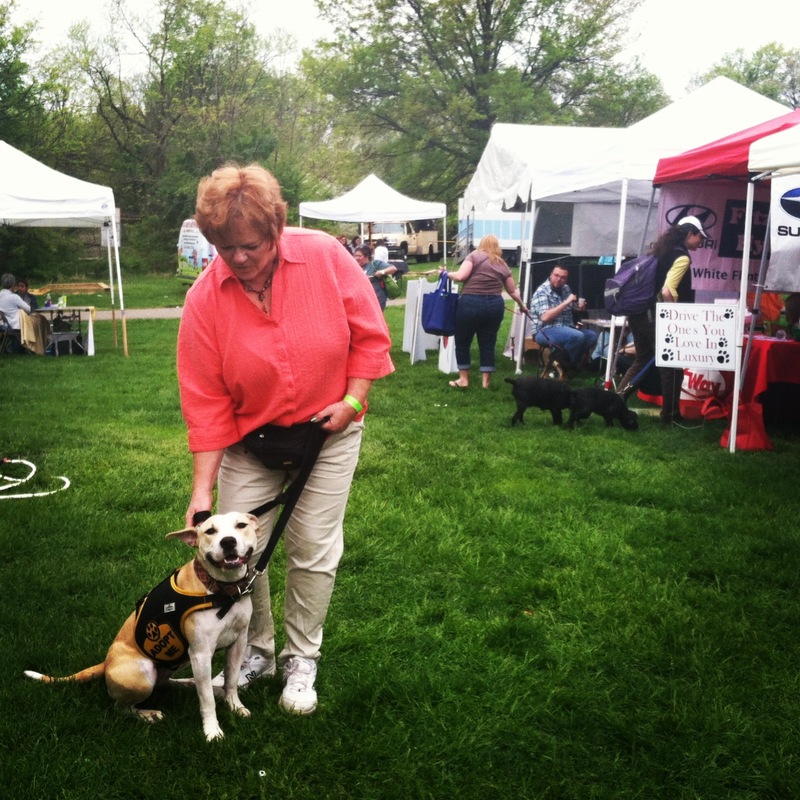 But luckily we had a couple things going for us: it’s an extremely open venue so we wouldn’t get caught in tight quarters which stresses her out, and, for the most part, the other dogs at the event are pretty social too. It’s when another dog reacts towards her that she’s especially prone to a melt down. Also, to be honest, it was probably good that my mom was the one to handle her for the most part. Unfortunately I have become quite the worrier, and I know Johnnie can feel that stress on my end! My mom promised that she’d only stay for as long as J could handle the event, even if it was only five minutes. 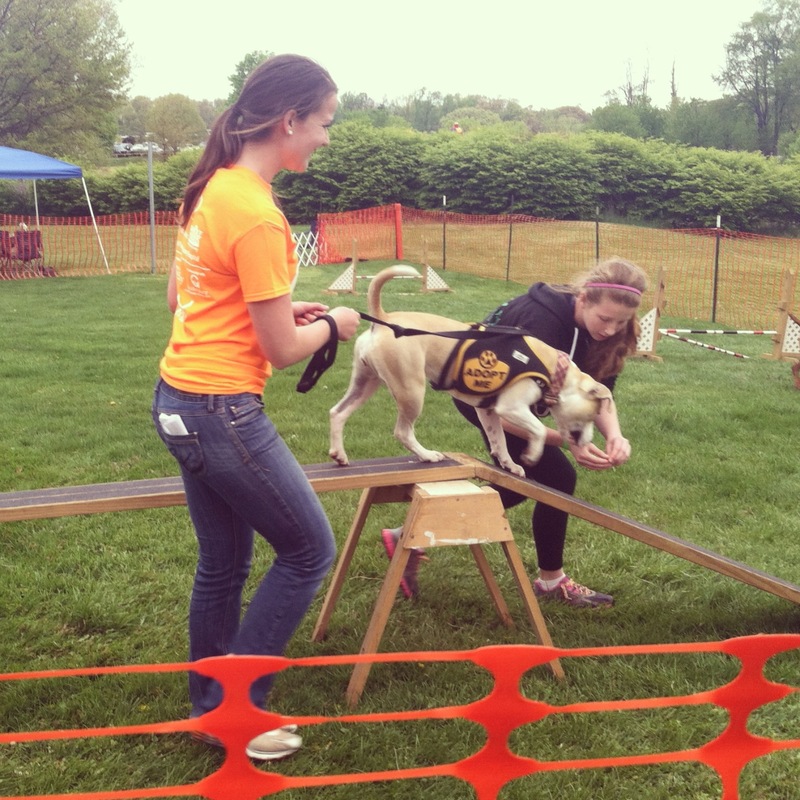 So the ultimate result of Johnnie’s trip to Paws in the Park was an exciting, positive experience! 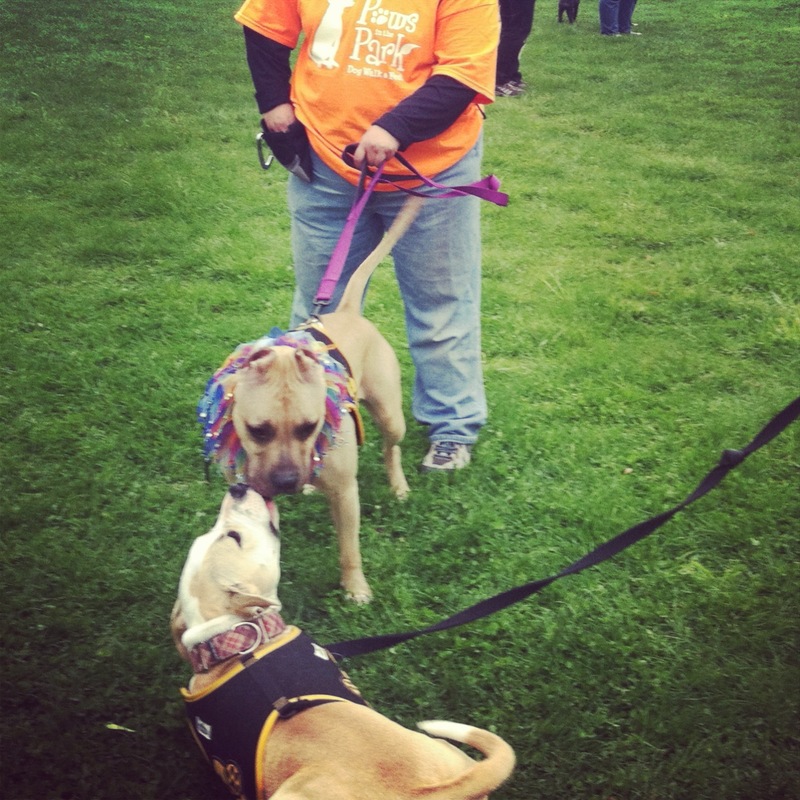 I was so, so happy and relieved when she met face to face with a few other dogs and wanted to play, and when she walked by the other attendees without batting an eyelash for the most part. We even tried some agili-dogging! And, no surprise here, she ROCKED it! She’s so confident in trying new things that she thought walking up a skinny beam just for a treat was the best thing ever. Whoever adopts her should really consider agility as a form of exercise and bonding! As you saw yesterday, she also made a friend with MCHS mascot Henry. She thought he was a big stuffed toy to play with! I was so proud of her for doing so well. There were many moments when I asked her for her attention by saying, “Hey Johhhhniieeee” in my fun voice, and she checked right in even though there were other dogs around. She is really learning how to focus! A big thank you to my mama who made this fun break possible during my chaos of running the event. I appreciate you taking the time out of your day to bring J and deal with my micromanaging! You are the absolute best Foster G a dog and daughter could ask for. Since Johnnie came in, made doggy friends and rocked agility, all with no problems, I told my mom they had to leave :-) I was thrilled (and wanted to make sure) to end on such a good note! So in addition to the fact that the humane society raised a ton of money, this event was also a big success for our foster family. Now I have two things to celebrate! 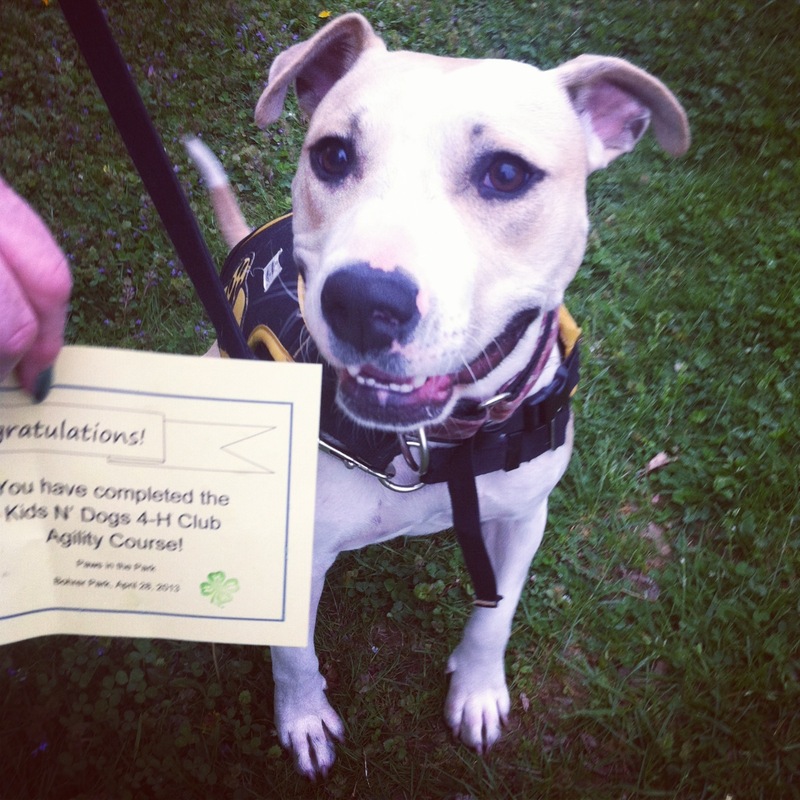 To adopt Johnnie Cash and enjoy fun learning experiences like this one, check out her Adopt Me page. 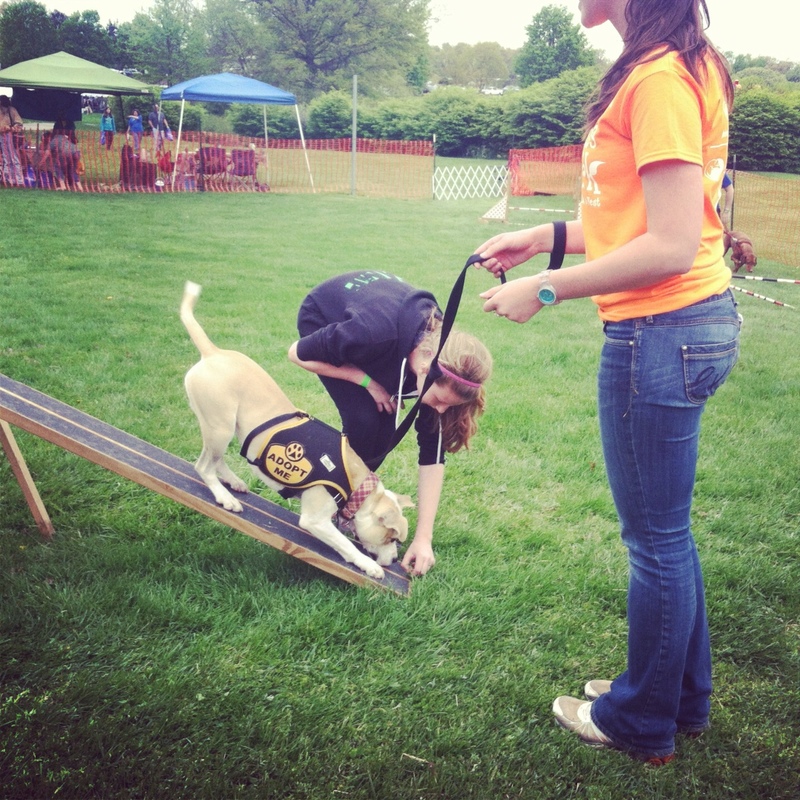 This entry was posted in Dog talk, Johnnie Cash, Rescue/Humane Society and tagged dog doing agility, dog festival, dog training, dog walk, foster dog, fundraising event, humane society event, Paws in the Park, reactive dog, socialization. Bookmark the permalink. Aaaaaawwww, congratulations all the way around. Good job foster grandma! Yay Johnnie-licious! I know what you mean about having someone else take her at events like this, I feel that half of Melvin’s leash re-activity is me. We were there! I wish I remember meeting Johnnie. :( There was SO much going on! 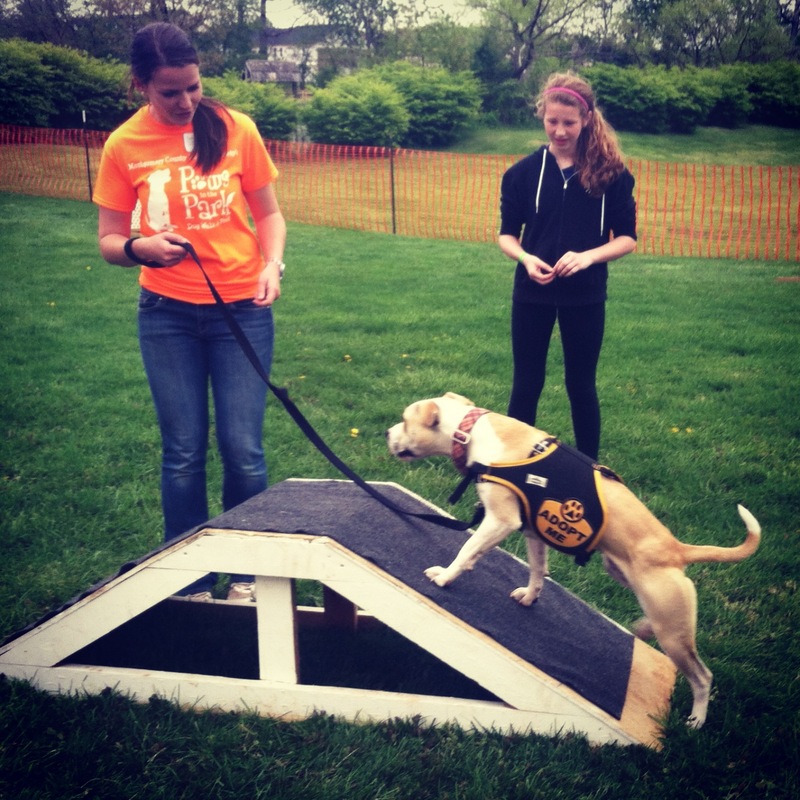 Look at Miss Johnnie rockin’ the agility course! That is no surprise of course with how smart she is proving. And what a smart idea to end things on a good note! Just like horseback riding… and a lot of things really :) Congrats on a successful day all around J&J! Yay, go you! Go Johnnie! Way to go both of you! Congratulations all around!